Several people have asked why I could not confirm or deny that the cause of earthquakes is the slowing down of the Earth’s rotation. As previously reported, this new theory was published in Geophysical Research Letters earlier this year by Roger Bilham of the University of Colorado and Rebecca Bendick of the University of Montana. The theory notes that Earth actually slowed down in its rotation, which will increase the intensity of earthquakes every 32 years. Their research is based on looking at earthquakes since 1900 that were greater than 7.0, and noticing a cycle that is approximately every 32 years for an uptick in these large quakes. They argue that the only factor that strongly correlates is a slight slowing of the Earth’s rotation in a five-year period before the uptick. I cannot confirm or deny that the cause of the 32-year cycle is the slowing of the Earth’s rotation because there are other correlations that need to be addressed. I did confirm that my own research agreed that there is a 31.4-year cycle of intensity in earthquakes. Additionally, I do not believe we can attribute the cause of earthquake intensity to the slowing of the Earth’s rotation because you cannot reduce the cause to a single factor. Later, in 1998 a scientist from the Beijing Astronomical Observatory, Chinese Academy of Science, found a correlation between low solar activity and earthquakes. Then in 2007, Yin ZhiQiang, Ma LiHua, and Han YanBen conducted a study which produced results showing that the lengths and amplitudes of the periods have changed with time, and large variations have taken place during some periods. 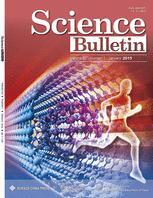 (Source: Chinese Science Bulletin). Another recent research study carried by The Space and Science Research Center in Florida, US, showed a strong correlation between solar activity and the largest earthquakes and volcanic eruptions within the continental United States and other regions around the world. The study looked at the data of volcanic activity between (1650 – 2009) and seismic (earthquakes) activity between (1700 – 2009) and then the recorded data was compared with the sunspots record (solar activity). The results of this study exposed a very strong correlation between solar activity and the largest seismic and volcanic events, within the continental US as well as globally. The correlation for volcanic activity was greater than 80% (discuss in a separate post) and for the largest earthquakes was came out with a 100% correlation with the top 7 most powerful quakes versus solar activity lows. NASA also published a study showing that there can be lesser quakes in the 5.1 range that are shallow ground movements reflecting the strain accumulated on deeper faults, which remain locked and may be capable of producing future earthquakes in the 7.0+ magnitude range in Los Angeles. When we ran our weather models on a correlation with California earthquakes, it revealed a cycle of drought followed by flooding, which then undermines the structure and precedes earthquakes. NASA published a study showing that indeed the drought in California was causing the land to actually sink. They reported that groundwater levels have fallen 100 feet already. 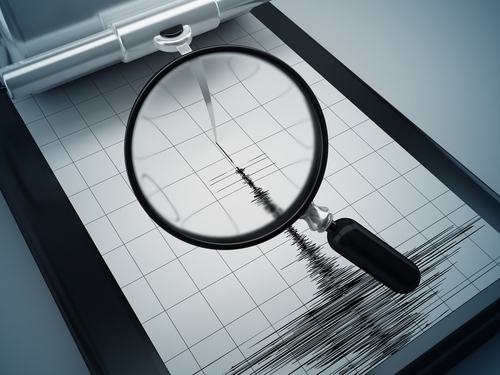 In 2008 researchers, NASA announced that their scientists stand on the verge of a major breakthrough in their efforts to forecast earthquakes. They reported that they have found a close link between electrical disturbances on the edge of our atmosphere and impending quakes on the ground below. They observed this correlation days before the recent 8.0 devastating earthquake in China which struct on May 12th, 2008 (2008.361) known as the 2008 Sichuan earthquake. While there were a lot of quakes 309.6 years prior in 1698, there were not 8.0 quakes. There was an 8.0 quake known as the 1679 Sanhe-Pinggu earthquake, which was about 56Km from Beijing. If we look at the 224-year frequency, we again come close to the 1786 Kangding-Luding earthquake, which was a 7.7 quake. The 51.6-year frequency also produced two quakes in 1955 that were 7.1 1955 Kangding earthquake and a 6.8 quake known as the 1955 Yuzha earthquake. Therefore, we may also have a close link between electrical disturbances on the edge of our atmosphere and impending quakes on the ground below has been found. This finding is in agreement with similar studies carried out by other space research institutes. Satellites have picked up disturbances 100 – 600 km above areas that have later been hit by earthquakes. Apparently, fluctuations in the density of electrons and other electrically-charged particles in the ionosphere have been observed, which may also provide a market for earthquakes. In Taiwan, similar research has agreed with this theory. The researcher Jann-Yeng Liu also reported the link between earthquake and disturbances in the ionosphere. His work examined over 100 earthquakes with magnitude 5.0 and larger in and around Taiwan over several decades. His analysis showed that nearly every earthquake down to a depth of about 35 Km was preceded by distinct electrical disturbances in the ionosphere. So again, is this the cause or a mere correlation? The theory put forth by Minoru Freund of the NASA Ames Research Center argued that when rocks are compressed-as when tectonic plates, they act like batteries, producing electric currents. This line of reasoning would imply that the electric disturbances are the result and not the cause since compressing rocks releases electrical charges that then travel upwards into the ionosphere. However, perhaps fluctuations in the cosmic-solar radiations are charging the ionosphere first, which then transfer to the planet disrupting the geomagnetic field generating the current. The global warming people have totally ignored the sun and its interactions with our planet and the climate. It is a known fact that during solar minimum, which we are now headed in to, is when we get the peak energy in cosmic radiation. During these maximum energy periods, the cosmic radiation can penetrate the greatest depths within the planet. The correlation with the sun also exists whereby the greatest earthquakes swarm during the period of solar minimum. Nevertheless, the relationship between the lowest-highest solar cycles and earthquakes produces the highest level of correlation. Therefore, the data simply establish an extremely strong correlation between major earthquakes of 8.0 magnitude or more (on Richter scale) and strong solar minimum (grand minimums). We are in what is being called Solar Cycle 24. This is the 24th solar cycle since 1755 when extensive recording of solar sunspot activity began. It is the current solar cycle which began in December 2008 with a smoothed minimum of 2.2 (SIDC formula). There was only minimal activity until early 2010. It reached its maximum in April 2014 with smoothed sunspot number only 116.4, the lowest in over a century. 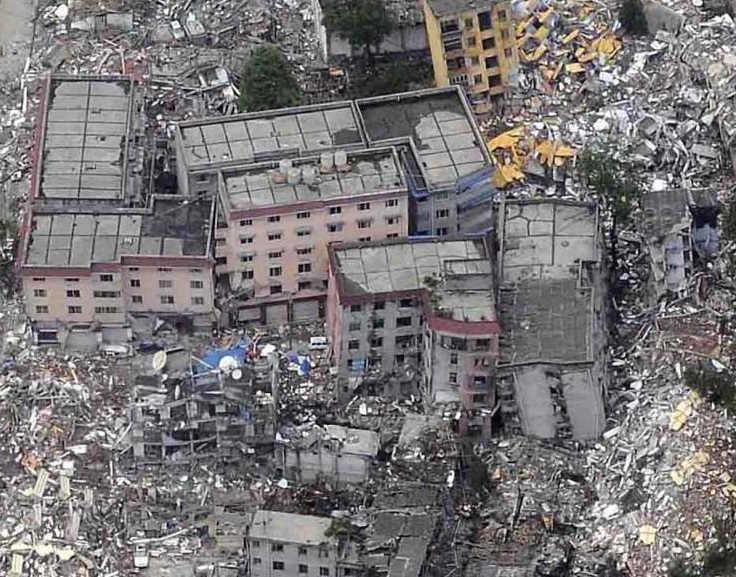 The 8.0 2008 Sichuan earthquake took place right on schedule. A simple correlation with the energy output of the sun reveals that all major earthquakes occurred during strong solar minimums. Consequently, there were 7 major earthquakes of 8.0 magnitude moving into the turning point in 2008-2010. Kiril Islands (Russia) twice- 8.1 (November 2006 & January 2007), Peru-8.0 (August 2007), Sumatra-8.5 (September 2007), Sichuan earthquake-8.0 (May 2008), Samoa-8.1 (September 2009), Maule (Chile)-8.8 (February 2010). The Global Warming people have clearly harmed our investigation into serious correlations with the sun and our planet, which also impact our world economy. 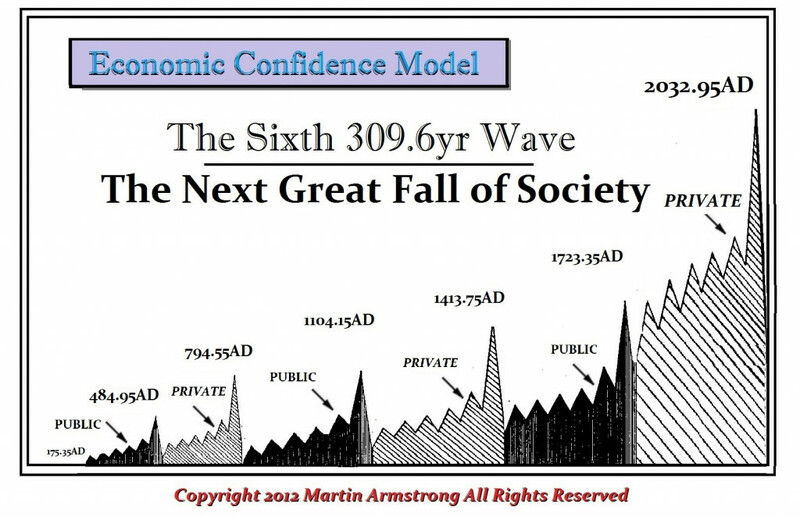 The cycles emerging from the various earth data correspo9nd to our Economic Confidence Model and the six waves at the 309.6-year level. At the grand level of the 1857.6-year time interval we experience major changes and shifts in civilization. 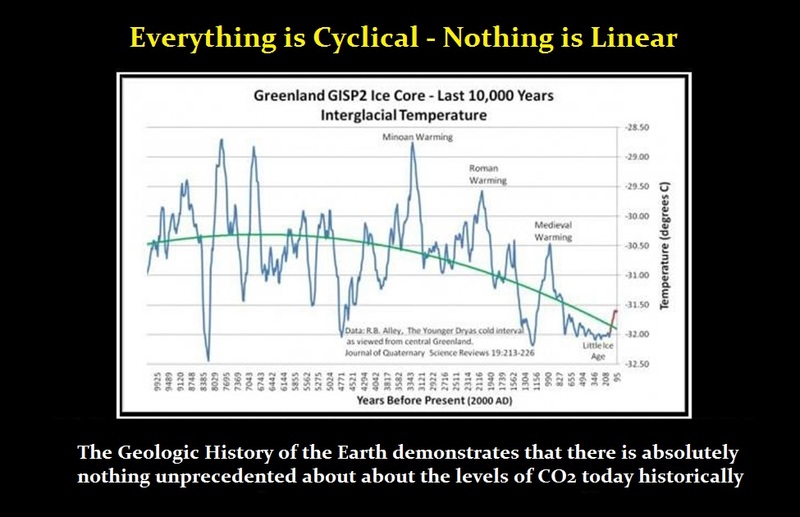 This correlates with the global cooling and the solar cycles. It is high time to understand that our planet is permanently linked to the solar energy. The longer the global warming crowd tries to blame humans for everything, the longer we will ignore something that may be far more devastating than global warming — the decline in solar activity which turns weather down and corresponds to a rise in earthquake and volcanic activity (see Part II on Volcanos).